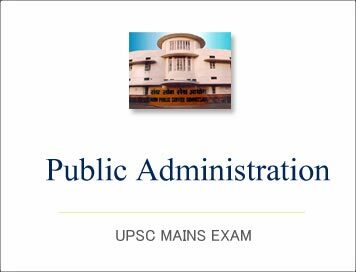 Public Administration Mains 2018 : Solved Paper Public Administration : Paper-2-Question-4 | IAS EXAM PORTAL - India's Largest Community for UPSC Exam Aspirants. ANSWER: ‘Judicial overreach’ then is the direct result of legislative as well as executive neglect or inaction: Poor and dilatory performance, not only in the making of laws, but also in their implementation. Power tends to corrupt, and absolute power corrupts absolutely” was for those who indulged in too much judicial activism. In India, excessive judicial interference with laws and executive action is called ‘judicial overreach. The real reason, for ‘judicial overreach’ is, that since all power grows by what it feeds on, judicial power also tends to grow by accretion; by the indifference or ineptitude of Constitutional bodies — set up to pass laws and to deliberate on vital affairs of the State — of not being able to effectively do so. ‘Judicial overreach’ then is the direct result of legislative as well as executive neglect or inaction: Poor and dilatory performance, not only in the making of laws, but also in their implementation.